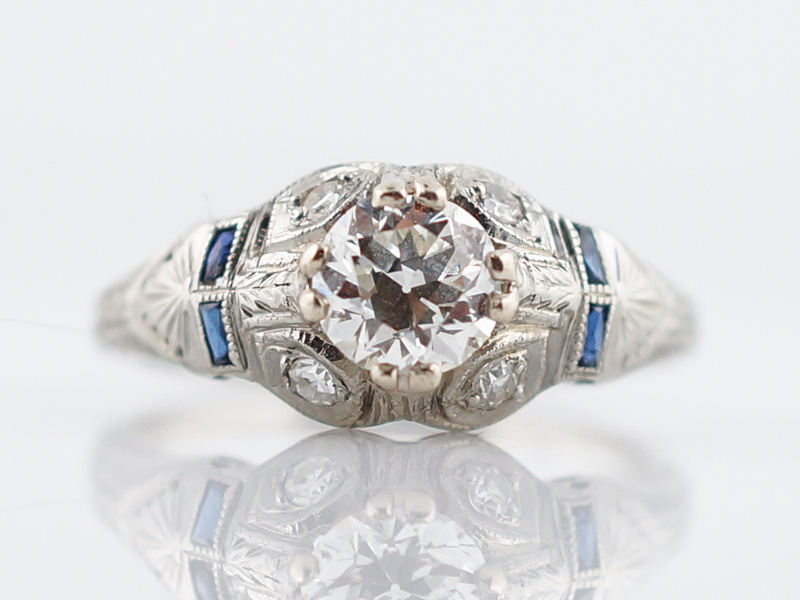 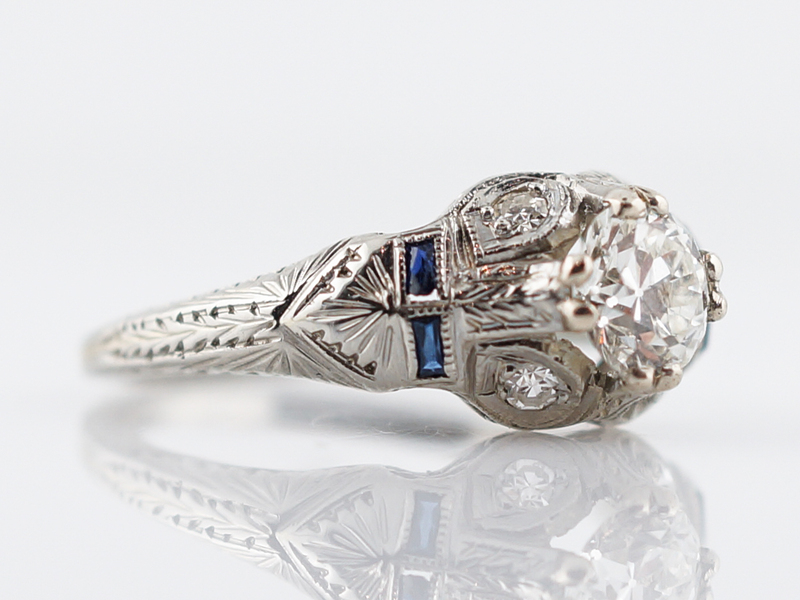 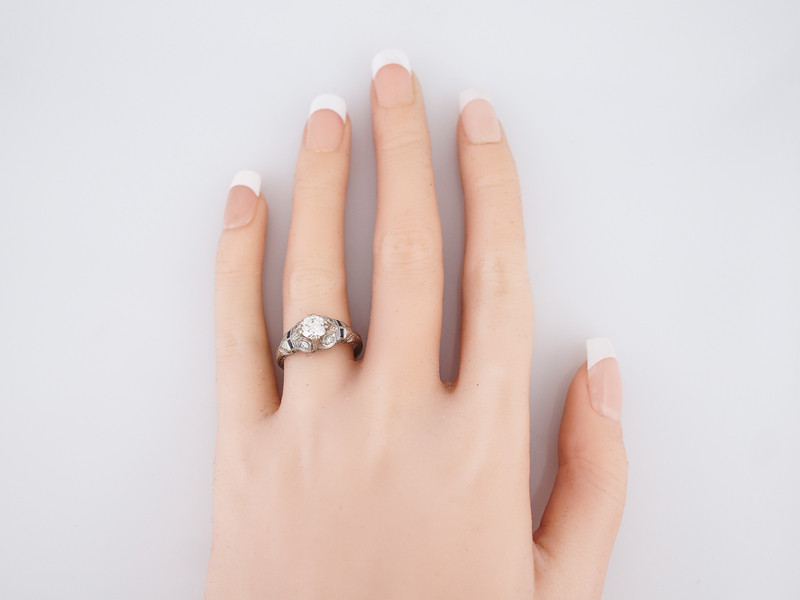 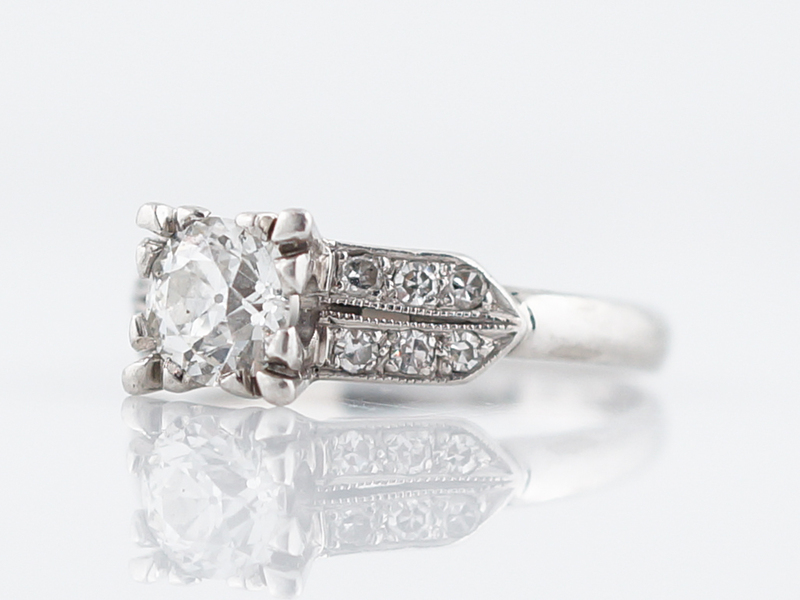 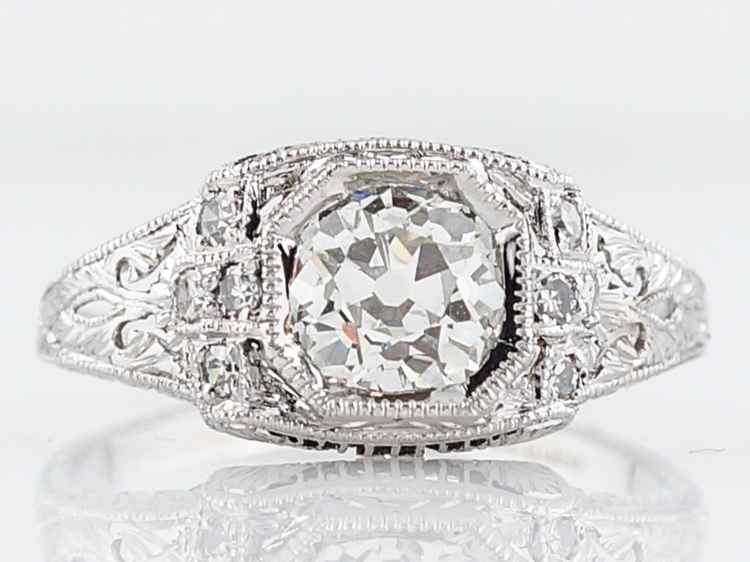 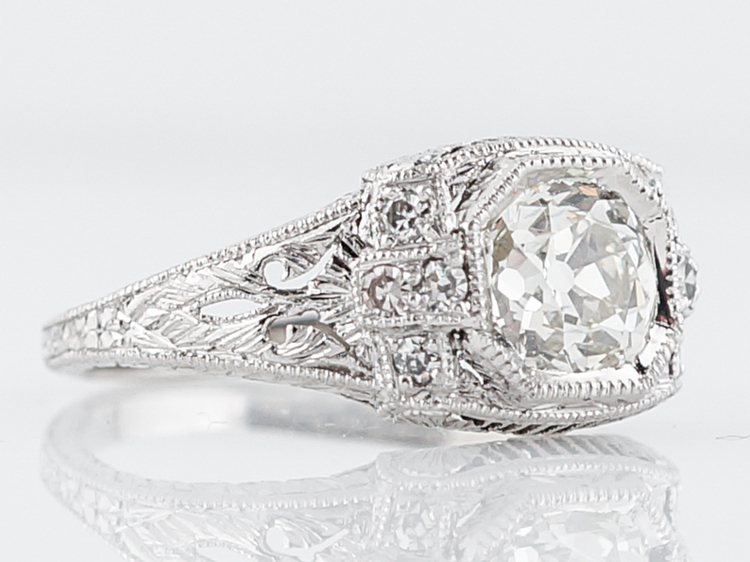 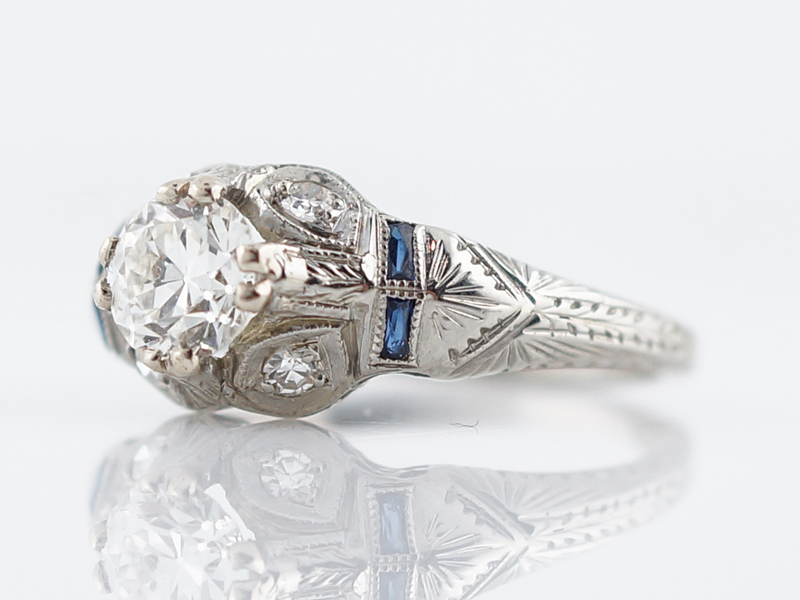 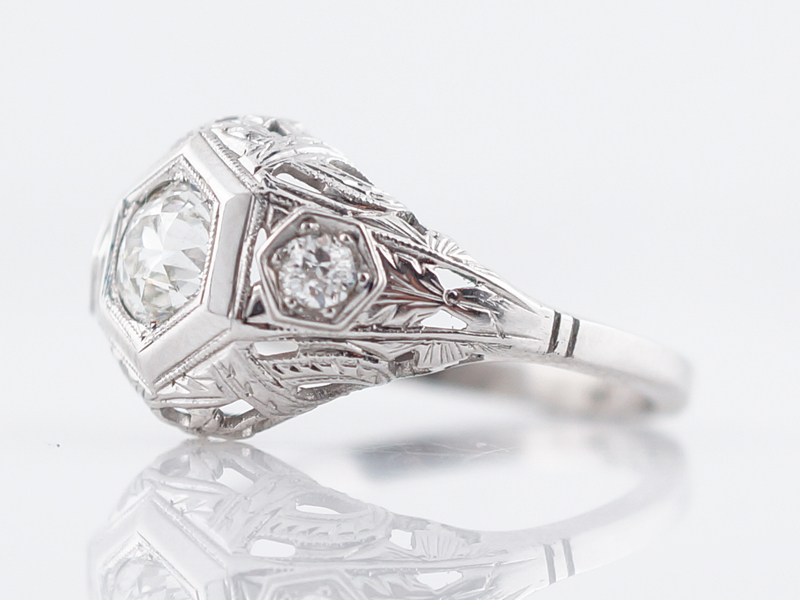 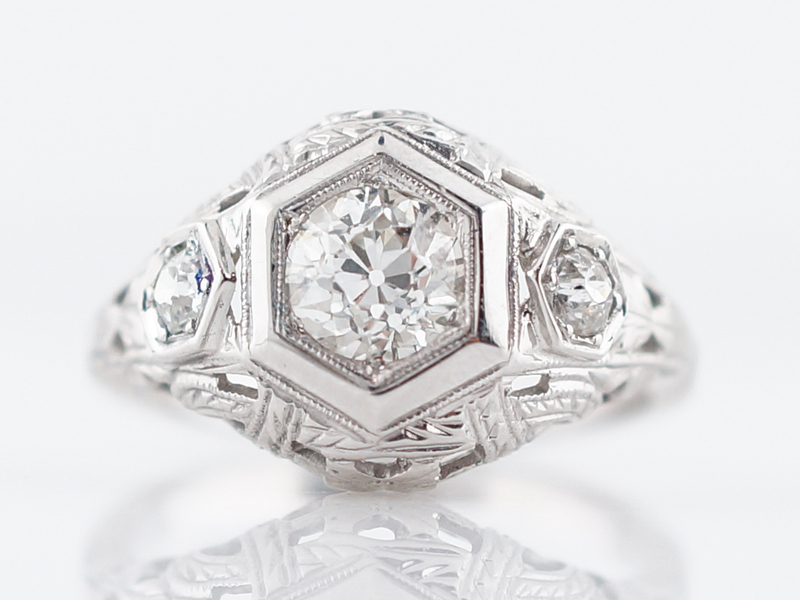 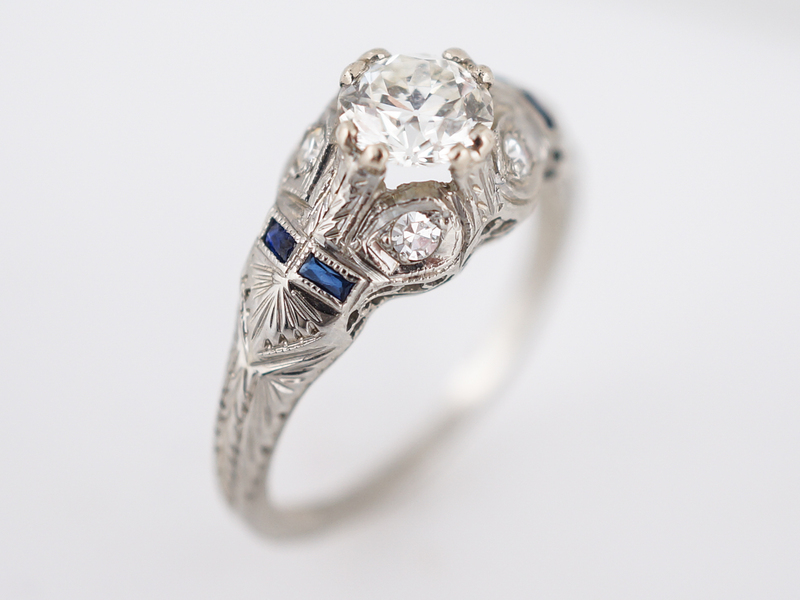 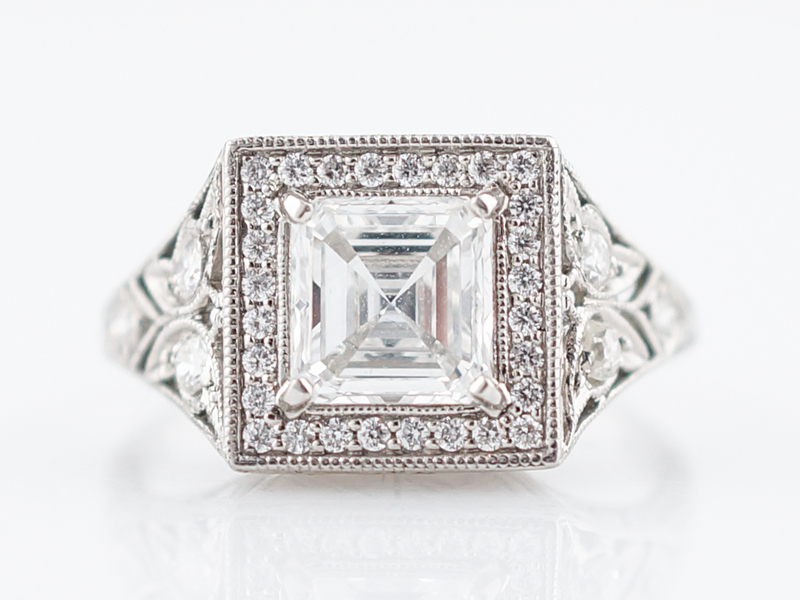 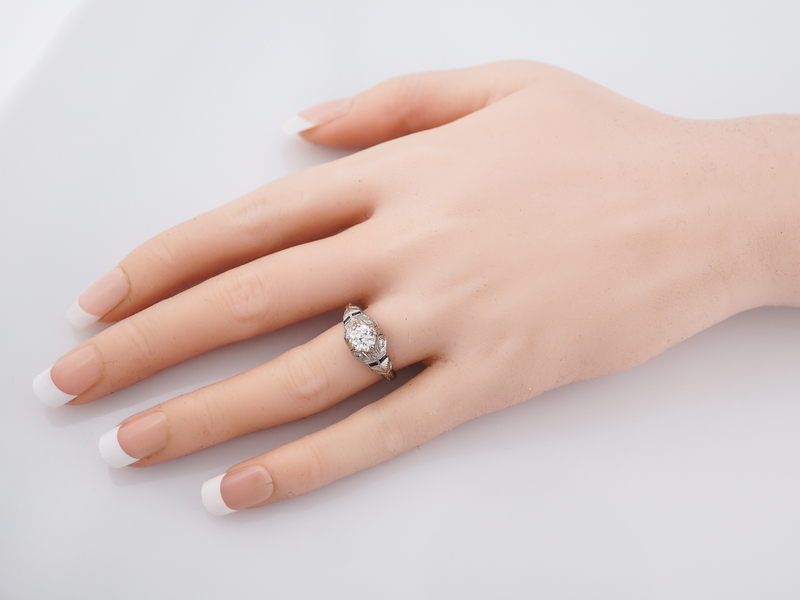 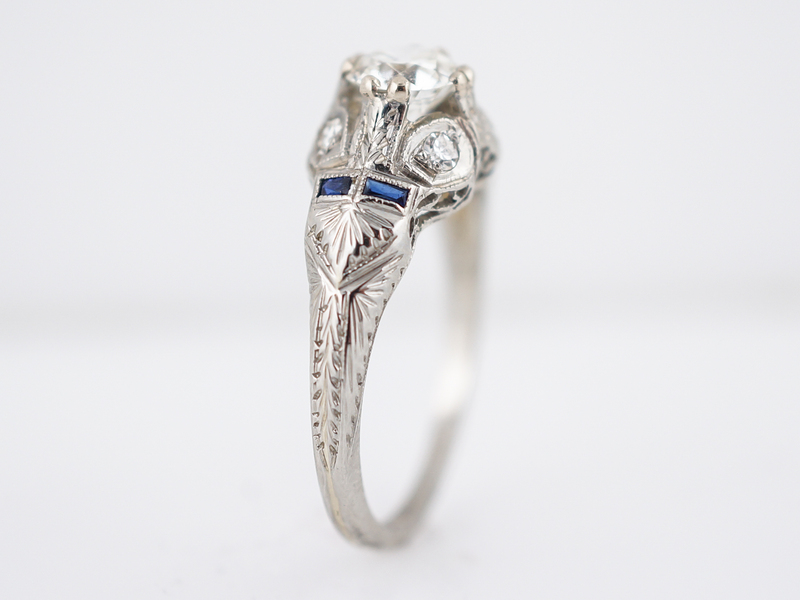 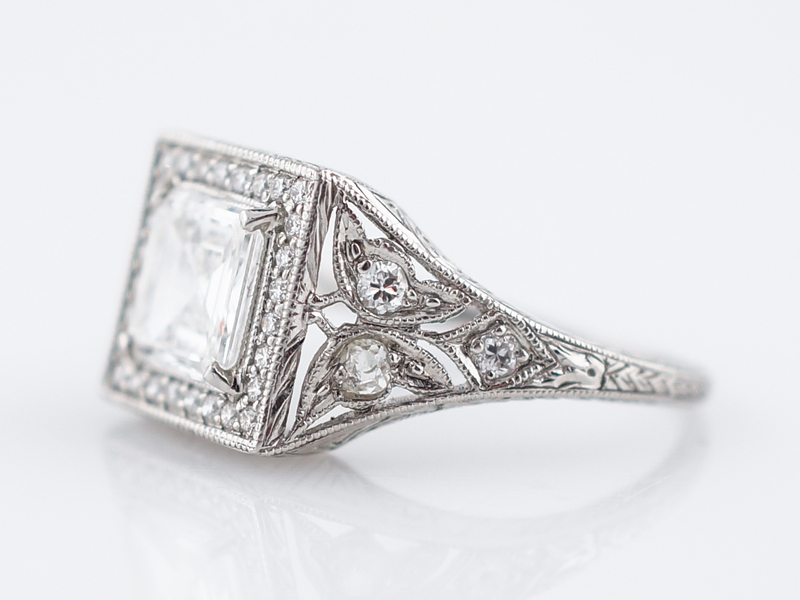 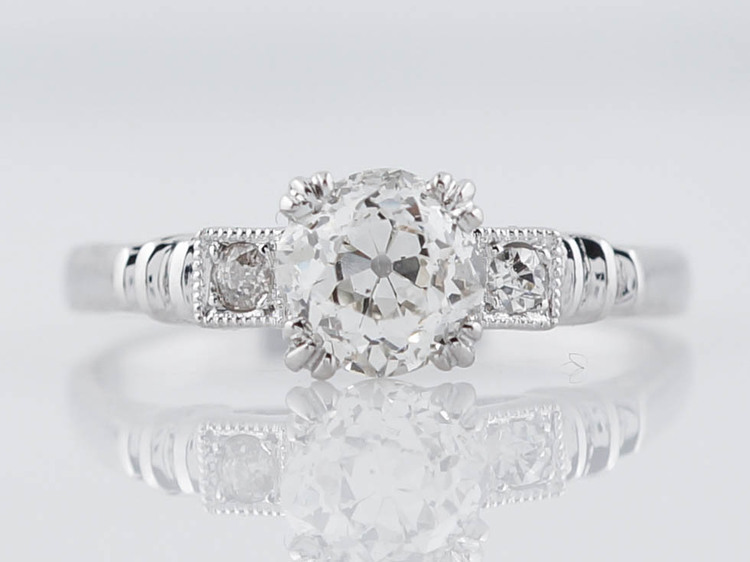 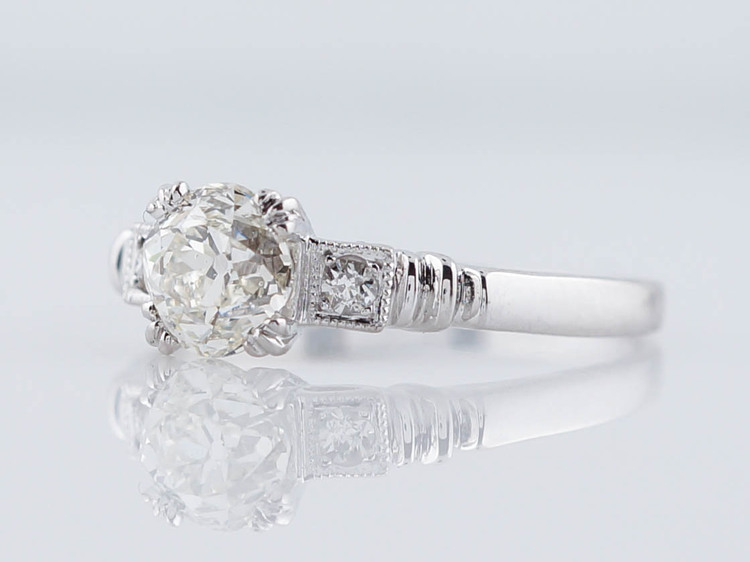 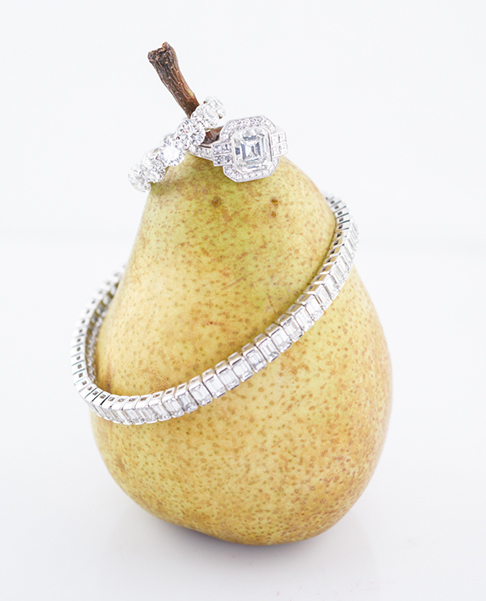 This original antique art deco engagement ring features a .69 carat old European cut diamond set in 18 karat white gold. 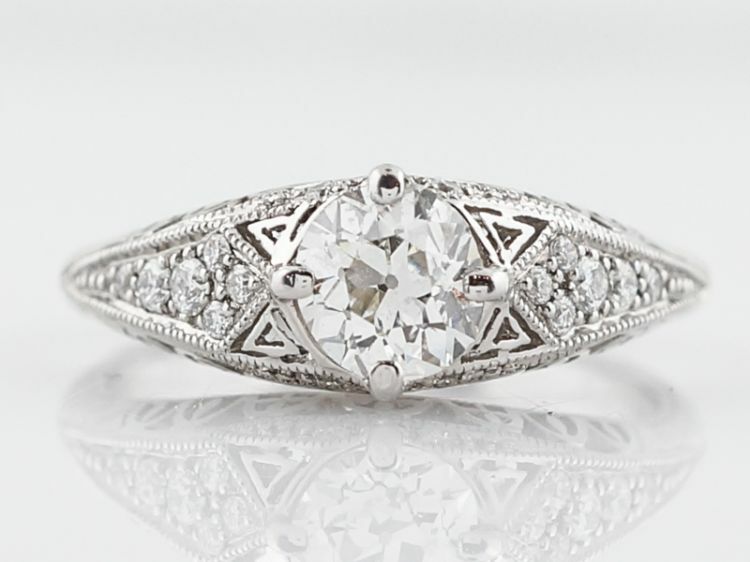 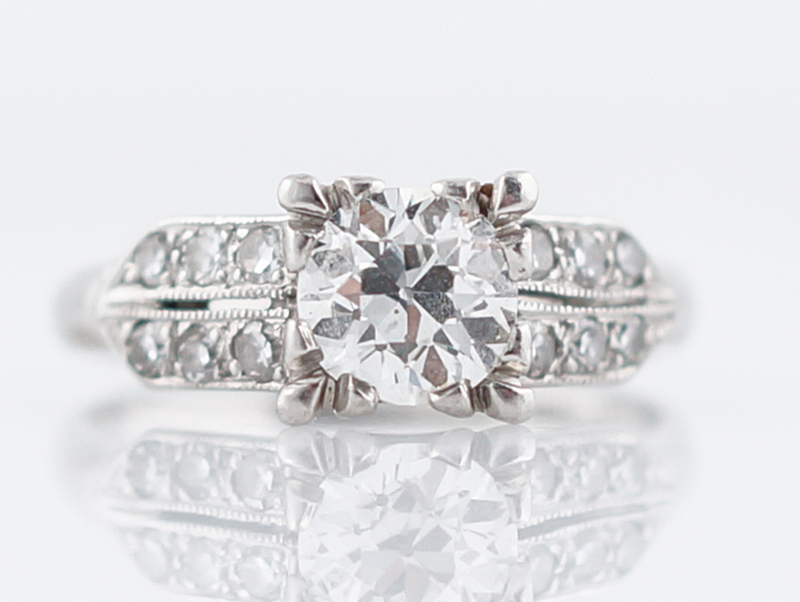 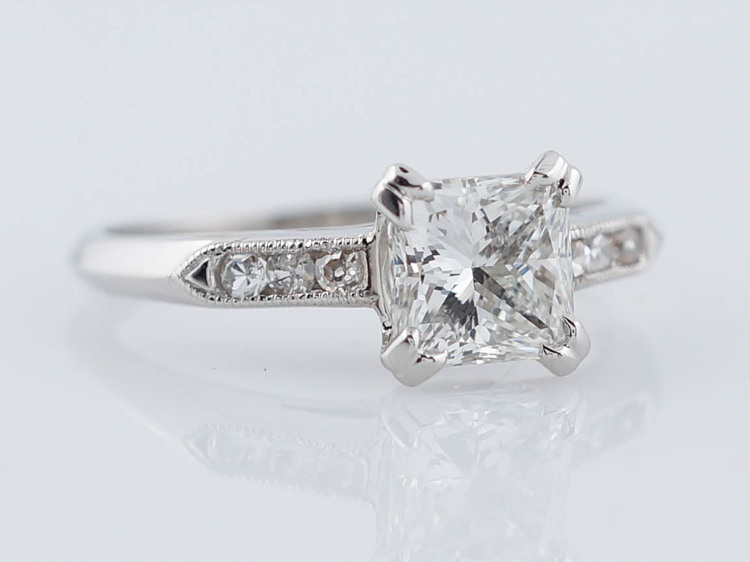 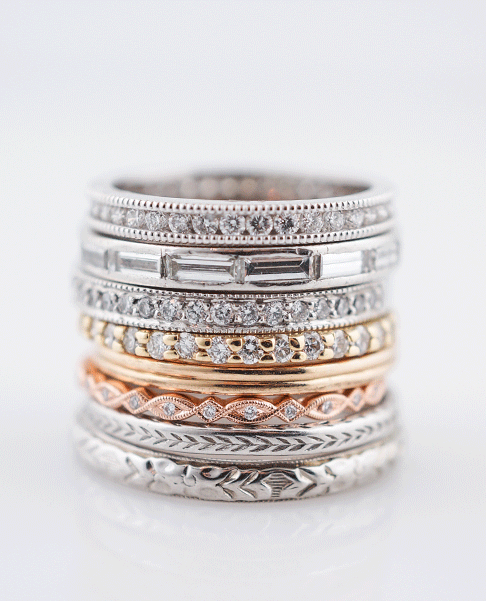 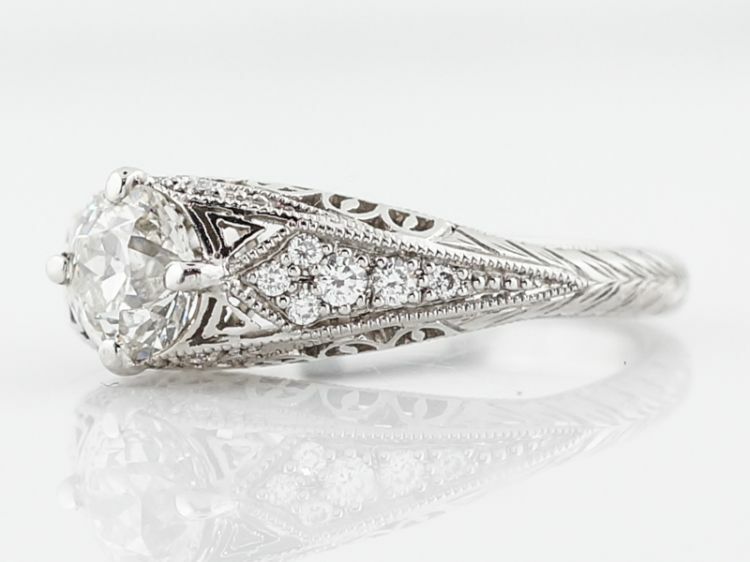 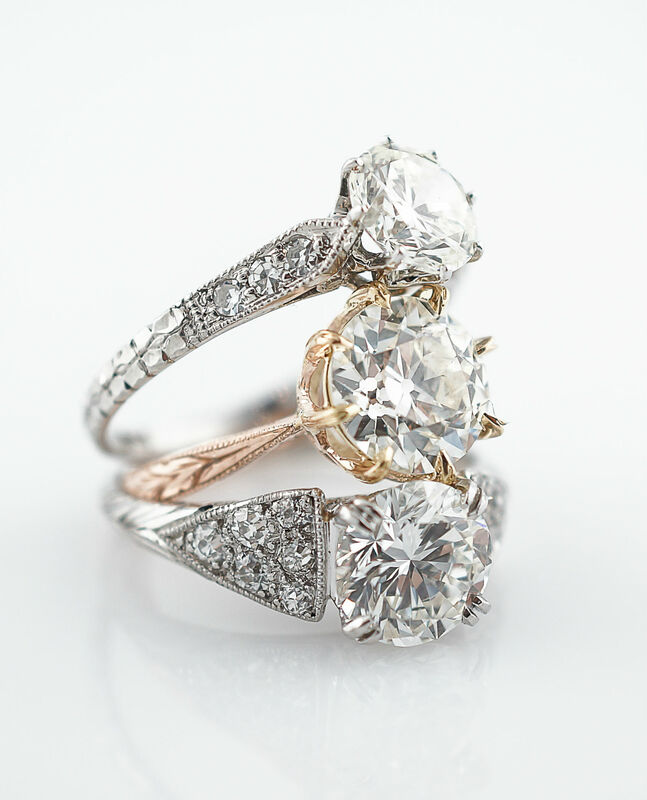 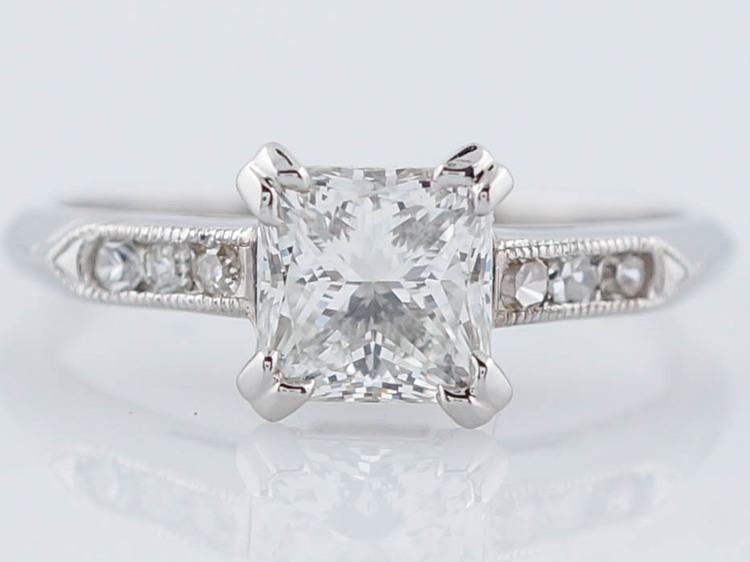 The gorgeous center stone is slightly raised and is held in place by four prongs with gentle chevron patterning. 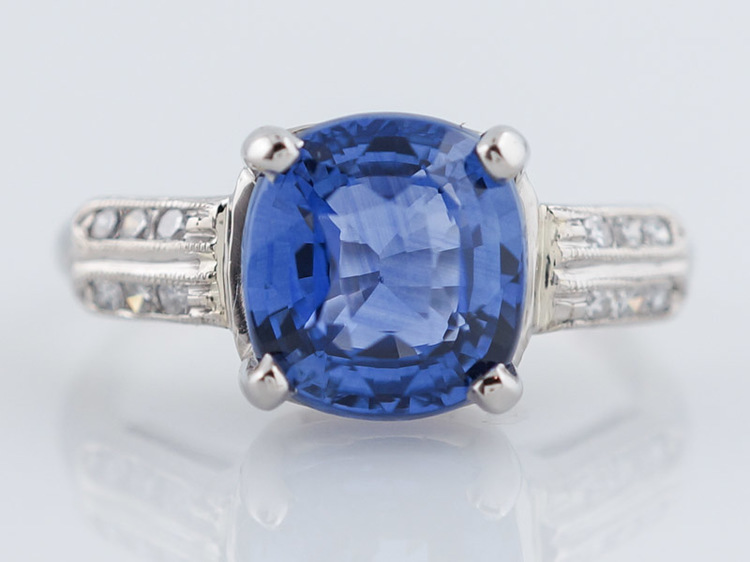 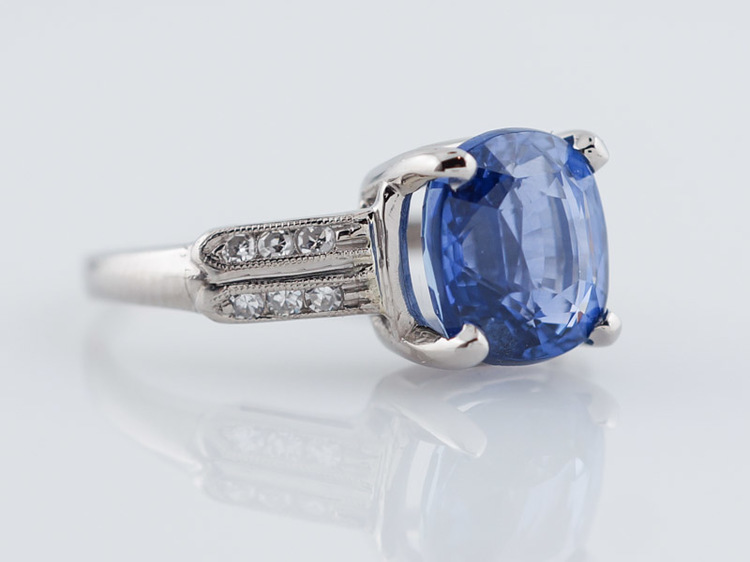 The center stone is accented by four (4) single cut diamonds and four (4) natural blue sapphires. 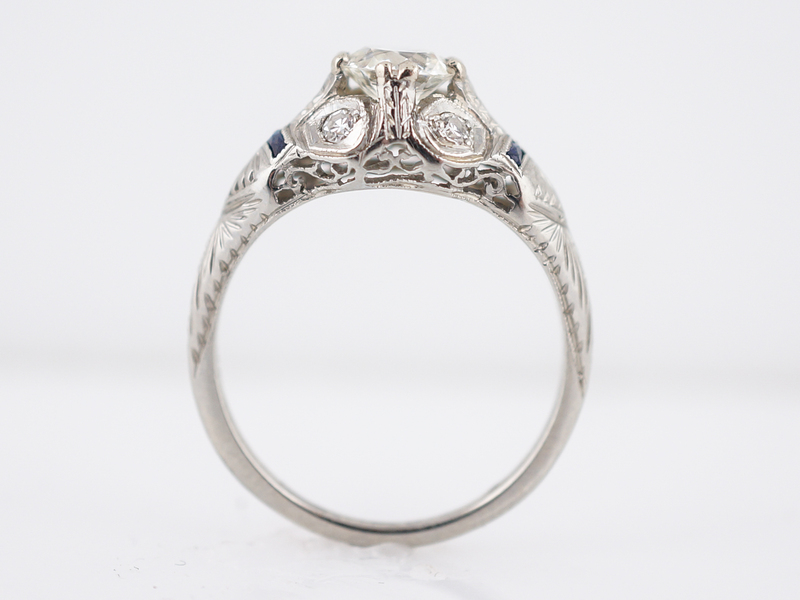 Slight open filigree work runs along the bottom of the carriage and Egyptian influenced sun bursts adorn the shank of the ring.